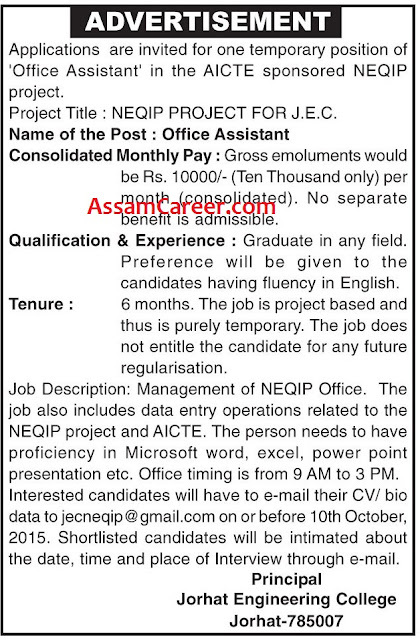 Applications are invited for one temporary position of "Office Assistant" in the AICTE sponsored NEQIP Project. Educational Qualification: Graduate in any field. Preference will be given to the candidates having fluency in English.